I am on day 20 of growing a moustache for Movember. I have decided to go against my stylist’s best wishes and help raise money for prostate cancer research with my fellow Eclipse committers. We have raised over $2300 dollars so far! 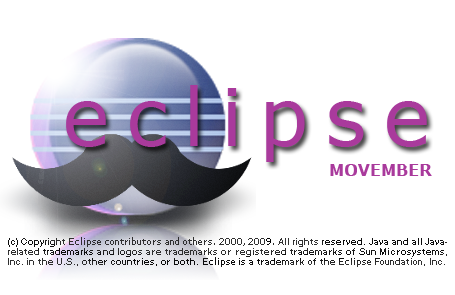 This week’s update includes a new splash screen for Eclipse (thank you Ian Bull). As for my ‘stache, here it is on day 20.